As always it seems, there is much confusion in the body of Christ regarding what our responsibilities are when dealing with false teaching. There really should not be, as the Bible is replete with instruction but the hard, cold reality is that we like our false teachers. We like their style and wordsmanship. We like their excess. We like how their messages seem to scratch us right where we itch. Who wouldn't like Joseph Prince and his false gospel of not caring about sin? Who wouldn't like Joel Osteen's million dollar smile and Gospel that says you can have everything your greedy little heart desires. Who wouldn't like the oohs and ahhs of the false signs and lying wonders network such as Bethel Church and IHOP? Who wouldn't like the word faith beliefs that we are little gods and Rick Warren's heresy that God has planned a magnificent purpose for you before the foundations of the world? The list goes on and on but the point is made. The reason why Osteen can pack 50,000 people into an arena each week is not the blessing of God but rather His judgment upon a world that does not want Him but in His name will pursue everything their wicked hearts desire. This is the start of that series of verses. The foundation is simple and has two predicates that must be met in order to apply it. First it must be my brother. Secondly, he must sin against me personally. False teachers do not sin against me personally. Their sins are against God and the body of Christ as a whole. I have had local pastors who have sinned against me personally and I have tried to resolve those issues according to these Matthew verses. Perry Noble's personal indiscretions with alcohol are not sins against me. Joel Osteen mangling the Bible to preach self-help is not a sin against me. Joseph Prince leading untold thousands to hell by never addressing their need to repent is not a sin against me. Rick Warren destroying the biblical design of the church is not a sin against me. One cannot objectively look at the ministry of Perry Noble and think he was doing to will of the Father. The Father would never say, "Try Jesus out for 90 days" as Noble did in his "tithing challenge." He would never demean the sheep, refer to them in a derogatory manner, or lead them down the broad path that leads only to destruction. These things are not caught up in some shades of grey. They are black and white beloved. They are easy to discern if we are willing to see and hear the truth. ONLY the Gospel has the power to save anyone. Not our preaching style. Not our snazzy theatrics and snappy light shows. Not our marketing schemes and humanistic logic. Not even our deepest sincerity. If we are not preaching the Gospel, no one gets saved. Can someone come to the Lord without church? Absolutely but someone, somewhere preached the Gospel to them. Not singing Wrecking Ball to them. So do we pray for Perry Noble? As a fellow human being we ought to pray that he is able to face the demons he is struggling with. We also should pray that he comes to penitent faith in Jesus Christ for the forgiveness of his sins, especially those he has committed against the body of Christ. Christians in these scenarios often pray for restoration of ministry because we want him to get back to scratching our itching ears. That is something we should not be praying for because a diseased tree cannot bear good fruit. 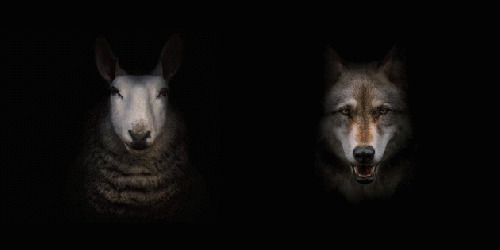 It always amazes me that people who consider themselves Christians are more concerned about the lone wolf than the sheep in the sheep pen. I chose two key verses for today that speak directly to our responsibilities regarding those who would bring in destructive heresies into the body of Christ. First we have a verse from Romans that speaks to the responsibility we all have as brothers and sisters. The second verse from Titus is a specific charge to those who are in church leadership.